And the return of Magneto? 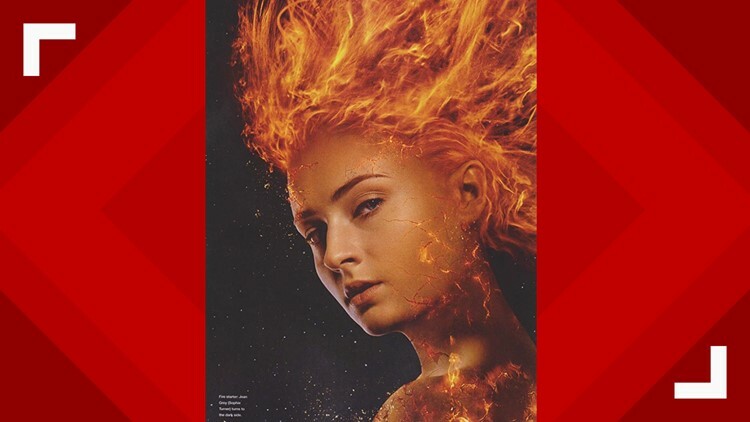 PORTLAND, Ore. — The second "Dark Phoenix" trailer dropped Wednesday and viewers were able to see a fuller picture of what the Phoenix Force actually looks like while it inhabits Jean Grey. Just a little background on the Phoenix Force -- though movies have popularized its relationship with Jean Grey it has also inhabited other hosts like Emma Frost (another telepath), Scott Summers (not a telepath), among others. It is a sentient force that makes mutants' powers go berserk if they can survive hosting it. In the new trailer, Jean can be seen struggling with her powers. She seeks out Erik Lehnsherr, who previously retired his Magneto helmet in order to live a 'normal' life, for answers. Yet it seems Magneto, Mystique and Xavier are at ideological odds once more and Magnet Dad will once again don the helmet. It is insinuated that Xavier stifled Jean's powers so she wouldn't remember she lost control and killed her family, or something like that. Magneto and Mystique don't appear to be on board with that. After the second trailer, it is still largely a mystery who Jessica Chastain is playing. Her character is listed with the name Smith on IMDB, but little else is known. Excuse me where is Emma Frost? Are we going to put Magneto firmly in the 'bad guy' zone, because he's not. Will Scott Summers be the annoying vanilla pudding we know and begrudgingly love? And perhaps most importantly, will we see a whole phoenix plotline squished into one movie like we did with the En Sabah Nur plotline in X-Men Apocalypse? Will Jean give in to the temptation of the Phoenix Force, or will she fight it? "Dark Phoenix" will be out on June 7, 2019. Destiny Johnson is an investigative digital reporter at KGW who also reviews comics. You can find her talking about comics and nerd news on YouTube and she really wants to know what you think about the upcoming X-Men movie so you should tweet her: @hello_destiny.